Carlisle Ambassadors goes from strength to strength, after nearly 4 years since it began. 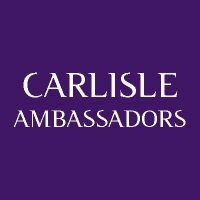 Carlisle Ambassadors has now got 165 members ranging from large SMEs through to charities, sole traders and not for profit organisations, all with the aim of making Carlisle a better place to live, work, visit and invest. Each event attracts between 200 to 230 delegates and is still growing. There will be 22 showcases highlighting what 'Trade and Industry' has to offer in Carlisle and Cumbria, companies who will be showcasing will include Thomas Graham, Travis Perkins, Linton Tweeds to name just a few.